Alexis Maybank, Co-Founder of Gilt Groupe, Joins 2U Board of Directors | 2U, Inc.
LANHAM, Md., Dec. 10, 2018 /PRNewswire/ -- 2U, Inc. (Nasdaq: TWOU), a global leader in education technology, today announced that Alexis Maybank will join its Board of Directors. As a successful entrepreneur and proven operator, Maybank has spent her career at the forefront of digital transformation and e-commerce. 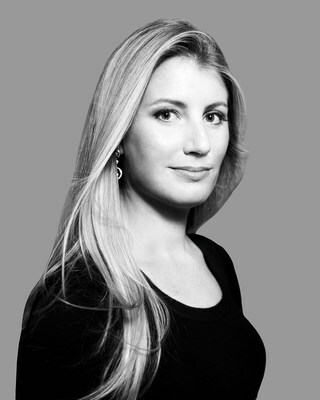 She co-founded Gilt Groupe in 2007 and served as the company's first CEO. Maybank chairs the board of Girls Who Code and is a vocal advocate for female entrepreneurship, protecting the environment, and education. "Education, technology, and transformation are three passions that have shaped and inspired my entire career," Maybank said. "I could not be more thrilled to join 2U's board and become part of a company that is leading the way in transforming higher education online, and doing it with an unwavering commitment to what matters most — great student outcomes." "Over the past twenty years, Alexis has built and led fast-growing, successful technology businesses in the retail and automotive sectors – two of the world's largest industries," 2U Co-Founder and CEO Christopher "Chip" Paucek said. "As 2U continues to scale rapidly and reshape the digital higher education landscape globally, Alexis will bring an invaluable perspective and experienced voice to our board and the company." Maybank started her career as an investment banker before moving to eBay, where she rose through the ranks to run eBay Canada and later helped build eBay Motors, both multi-billion dollar, global marketplaces. Following eBay, she joined AOL Media Networks as the GM of eCommerce. Maybank will become 2U's twelfth director, and with her appointment, half of the company's board will be comprised of women and people of color, including two white women, two black women, and two men of color. We believe there should be no back row in higher education. For more than a decade, 2U, Inc., a global leader in education technology, has been improving lives by powering the world's best digital education. As a trusted partner and brand steward of great universities, we build, deliver, and support online graduate programs and certificates for working adults. Our industry-leading short courses, offered by GetSmarter®, are designed to equip lifelong learners with in-demand career skills. To learn more about 2U and No Back Row®, visit 2U.com.